COOPERSTOWN - Kathleen A. Bachand, 93, formerly of Walden, passed away Sunday morning, July 27, 2014, at Otsego Manor. Kathleen was a kind and loving woman with a great sense of humor, and with a deep and abiding love of her family and many friends. She was born December 18, 1920, in Hartford, CT, a daughter of Anthony and Philomena (Vendetti) DiPaola. She married Edward A. Bachand, Sr. on November 21, 1942. Throughout her life Kathleen was employed in cafeterias at several schools, as well as at Aetna Insurance Company in Hartford. Her true career was caring for her home and family. In the late 1970s, she and her husband moved to Walden. Following Edward's death in 2000 she moved to Cooperstown to be near her daughter, Margaret, and her family. Kathleen is survived by her daughter, Margaret Savoie and her husband, Dennis A. Savoie, MD of Cooperstown; one son, Richard J. Bachand of Pathfinder Village in Edmeston; three grandchildren, Matthew Savoie and his wife, Christina, Benjamin Savoie and his wife, Jacqueline and Jonathan Savoie; two great grandchildren, Nathaniel Cooper Savoie and Christopher John Savoie; two sisters, Joyce Perkins and Anna Pollansky; one brother, Anthony DiPaola and his wife Sandra; several nieces and nephews whom she loved and cherished; and a dear friend, Annette Smith and family. She was predeceased by her husband, Edward A. Bachand, Sr. who died July 7, 2000; one son, Edward A. Bachand, Jr. who died January 10, 1997; two sisters, Maria Bell and Evelyn Hoglen and one brother, Frank DiPaola who was declared MIA during World War II. Her parents came from Italy and shared their Italian traditions while raising their large and loving family. Kathleen was always proud of her Italian heritage. Her love of family was deep and long lasting. At the request of the family and to honor Kathleen's wishes the visitation, the Liturgy of Christian Burial and interment will be private. In honor of Kathleen, please call your mom and tell her you love her, kiss your husband once on each cheek, help someone who needs help, and tell a good joke. Use your best china and silver. Light all the candles. Stop saving things for a special occasion; today is special enough. Those who so desire may make donations in memory of Kathleen to Pathfinder Village for the benefit of Chenango House, 3 Chenango Road, Edmeston, NY 13335-2314. COOPERSTOWN - Joan O. Tripp, beloved mother, grandmother and sister, left this world for heaven on Wednesday afternoon, July 23, 2014. Joan, and her brother, Jay, were born on February 28, 1931, the first twins born at Horton Memorial Hospital in Middletown. She grew up in Middletown, graduating from Middletown High School in 1949. Joan then attended Drew University, receiving a bachelor's degree in Latin in 1953, and in 1956 attained a Master's degree in education from the State University College of Education in Oneonta. In 1989 she received a BOCES Bartending Certificate. Joan taught elementary school in Cohoes and Middletown and was a remedial reading teacher in Edmeston and Cooperstown. She was the librarian for The Village Library of Cooperstown for 10 years, retiring in 1999 to help care for her grandchildren, which she found very fulfilling. She tended bar on a part time basis at the Lake Front Hotel Restaurant (and thanks the staff heartily for their patience!) and at social gatherings for her friends and the church. Since retirement from the Library, Joan has volunteered for Bassett Healthcare and at the Library. An active communicant of St. Mary's "Our Lady of the Lake" Roman Catholic Church in Cooperstown, she spent many hours doing calligraphy, teaching Sunday school and helping with the Altar Guild, as well as being a Eucharistic Minister and serving communion to both inpatients at the hospital and those confined to their homes. The single most pivotal point in Joan's life was her conversion from Judaism to Catholicism in 1988. She experienced a bright, shining light coming toward her, filling her with warmth from her feet to her head. The message she received from Jesus through the Holy Spirit was to become a Catholic and to never be afraid of death. Her baptism and confirmation took place on September 8, 1988, by Father John Sise with Barbara Roberts as her sponsor. Since that time her life was filled with joy and peace. Joan leaves three children and their spouses, Dana and Martin Peeters of Westford, Nancy and Daniel Morris of Middlefield and Robert and Angela Tripp of Fair Oaks, CA; seven grandchildren, Stefanie, MariaRosa (Buddy), and Andrew, Olivia and Leland, and Samantha and John; one great granddaughter, Carmella; and her brother, Jay Oppenheim of Johnstown. She was predeceased by her brother, Stanley, formerly of Cobleskill; and her parents, Isidore and Henriette for whom we can thank for Joan's loving and caring personality. Of no less importance, Joan also leaves her special family at St. Mary's "Our Lady of the Lake" Roman Catholic Church in Cooperstown, her friends at Cooper Lane Apartments and many more whose lives she touched. Joan's family wishes to express their deep appreciation and gratitude to Jen, Ann, Candy, Lisa, Sam, Keith and Rob from Otsego Manor for the kind, considerate and understanding care they extended to Joan. All of the staff was wonderful and made her final months pleasant and comfortable. Friends may call and pay their respects at the Connell, Dow & Deysenroth Funeral Home, Cooperstown from 5-7 p.m. on Tuesday, July 29, 2014, when Joan's family will be in attendance. The Liturgy of Christian Burial will be offered at 11 a.m. on Wednesday, July 30, 2014, at St. Mary's "Our Lady of the Lake" Roman Catholic Church in Cooperstown with Fr. John P. Rosson, pastor, presiding. The Service of Committal and Burial will follow in St Mary's Cemetery, Index. Anyone wishing to make a contribution in Joan's memory should do so to her favorite charity, The Cooperstown Food Pantry, 25 Church Street, Cooperstown, NY 13326. Julian P. Kaczynski, 93, of Hartwick (Cooperstown) and Webster, Massachusetts, passed away unexpectedly on Wednesday July 16, 2014, with his daughter by his side. Julian was born on January 3, 1921, in Webster, Massachusetts, a son of Joseph F. and Amelia (Bugno) Kaczynski. When he was just 16, he met the love of his life when he (intentionally) tripped her on the roller rink. Peewee and Rosemarie Neeser were married on August 27, 1946. After his military service, he returned to his native Webster, Massachusetts, where he owned and operated Peewee's Barbershop for over 50 years. He cut Jack Kennedy's hair when JFK was running for a senate seat in 1958. He finally retired at the age of 85, and he and Rosemarie moved to Beaver Valley Campground in the Cooperstown area to be near their daughter, Julianne Sharratt, and her family. He and Rosemarie spent a few winters in Davenport, Florida, where he boasted he was "shoveling sunshine". On February 18, 2012, Rosemarie passed away. After retirement, Peewee became "Beaver Valley's Master Lawn Barber", spending hours on the riding lawn mower. He was also the official "coin roller", keeping track of the campground's quarters, and most recently rolling pennies to be used for the kitchen floor in the new house his granddaughter, Caley, is building. He loved his grandchildren: rolling pennies with Caley, watching Nick's sports events, eating out with Jamie, cruising the Caribbean with Jason, and being open to the art that Nathan created. Peewee enjoyed baseball and was a true Red Sox fan. When Cooperstown Youth Baseball held all their games at the Beaver Valley Little League field, Peewee enjoyed a front row seat to every game from his front porch. He spent his final hours this past Wednesday eating out -- a favorite pastime -- and watching his grandson, Nick, and the Cooperstown Pony League Baseball Team play and win their league championship game. He loved making people laugh. He is survived by his favorite daughter, Julianne (Kaczynski) Sharratt and her husband, Dwaine, of Hartwick (Cooperstown); grandchildren, Nathan Sharratt and Mona Collentine of Marietta, Georgia, Jason Kaczynski and Rachel Chemerynski of Boston, Massachusetts, Michelle Tonken of Webster, Massachusetts, and Caley, Jamie, and Nicholas Sharratt of Hartwick; sister-in-law Theresa Arter of Davenport, Florida; daughter-in-law Patricia and Steven Tonken of Webster, Massachusetts; and many nieces and nephews. In addition to his wife, he was predeceased by his mother and father; his brother and best friend, Louis Kaczynski; sisters Mary Ann Murphy and Cecelia Remillard; and his son, Julian "Buddy" Kaczynski of Webster, Massachusetts. Friends may call and pay their respects at the Connell, Dow & Deysenroth Funeral Home, 82 Chestnut Street, Cooperstown, from 7-8:30 p.m. on Wednesday evening, July 23, 2014, when Peewee's family will be in attendance. The Liturgy of Christian Burial will be offered at 11 a.m. on Thursday, July 24, 2014, at St. Mary's "Our Lady of the Lake" Roman Catholic Church in Cooperstown, with Fr. John P. Rosson, pastor, officiating. Burial with Military Honors will be held at a later date in Saint Joseph Garden of Peace Cemetery in Webster, Massachusetts, where Peewee will be laid to rest with his wife, Rosemarie. Expressions of sympathy in the form of memorial donations may be made to the Hartwick Emergency Squad, P.O. Box 208, Hartwick, NY 13348. COOPERSTOWN - Donald Robert (Bob) Lettis, a World War II veteran, passed away early Monday morning, June 30, 2014, at his home. He was 88. Born July 29, 1925, in Cooperstown, he was a son of Donald F. and Charlotte (Hall) Lettis. Raised in Cooperstown, Bob graduated from Cooperstown High School with the Class of 1943. Following graduation, he enlisted in United State Army and served in Europe. He was involved in the Battle of the Bulge, the crossing of the Rhine River at Ramagan, Germany and the drive to the Danube River which ended the war. He received the Bronze Star for his work during the Rhine Crossing for establishing several observation posts that located German artillery that was trying to knock out the Ramagan Bridge. He was honorably discharged on March 10, 1946. Upon his return to Cooperstown, he enrolled in the Art Education Program at Syracuse University. In 1947 he married Grace Annamay (Gae) Carlsen while he was a student at Syracuse. Following his graduation from Syracuse University in 1950, the Lettises moved to Worcester. After teaching for only one month at Worcester Central School, Bob was called back into the Army for the Korean Conflict. Fortunately, by the time he was ready to embark for Korea, the war appeared to be over when the United States Marines drove into North Korea, ending at the Chinese border. (Later the Chinese entered the war.) Rather than being released, he was sent to Europe and served at the Seventh Army Headquarters in Stuttgart, Germany for a year. He was discharged a second time from service in 1951. While he was away, his daughter Charlotte was born. Upon his return he taught art in Worcester and Schenevus Central Schools for five years. In 1956 he returned to Cooperstown and taught high school art at Cooperstown Central School until 1964. During his years in Cooperstown he was involved with Boy Scouting and amateur theatre productions. He also joined the Lions Club of Cooperstown on February 2, 1958, and served as club president in 1963. In 1964 Bob and his family moved to New Jersey. He attended Pratt Institute in New York City and received his Master of Fine Arts degree in 1966. The Lettis family then moved to Hingham, MA and Bob taught Printmaking and Art Education at Massachusetts College of Art in Boston for the next twenty-one years. Mass Art, as it was known in Boston, is the only publicly supported art college in the country. During his tenure at Mass Art, he served as Vice President of Academic Affairs for five years and Chairman of the Art Education Department for several years. He retired as Professor Emeritus in 1987. Following his retirement, Bob and Gae spent several years traveling in Europe and the Caribbean Islands, as well as visiting their children who live throughout the United States. They moved back to Bob's native Cooperstown in 2002. Bob is survived by three children, Charlotte Richardson and her husband, Kirk, of Portland, OR, Paula Bedford and her husband, Jim, of Northville, MI, and Daniel Lettis of Clayton, NM; six grandchildren, Briget Bent, Nicolle Meyer, Jacob Meyer, Daniel Meyer, Sam Richardson, and Henry Richardson; three great grandchildren, Tanner Bent, Jillian Bent and Katelyn Torres; and one niece, Carol Krutz. Bob was predeceased by his beloved wife of 66 years, Grace Annamay Carlsen Lettis, who died January 5, 2014; his parents, Charlotte Hall Lettis and Donald F. Lettis; one brother, James F. Lettis, who died May 14, 2006; and a nephew, Frank Krutz, who died in 2012. A memorial service will be offered at 11:30 a.m. on Saturday, July 5, 2014, in the Augusta Clark Room of the Cooperstown Art Association, 22 Main Street, Cooperstown. The Rev. Betsy Jay, Chaplain at Bassett Medical Center in Cooperstown, will officiate. Interment will be at a later date in the Lettis Family Plot in Lakewood Cemetery, Cooperstown. Expressions of sympathy in the form of memorial gifts may be made to the Lions Club of Cooperstown, P.O. Box 2, Cooperstown, NY 13326 or The Charlotte Hall Lettis Nursing Scholarship Fund, c/o Cooperstown Central School District, 39 Linden Avenue, Cooperstown, NY 13326. COOPERSTOWN - Joan Worrall White, a local businesswoman who possessed a flair for gardening, fashion and life, died early Sunday morning, June 29, 2014, surrounded by her family and caregivers, Linda and Patricia, at her home on Lake Street. She was 82. She was born June 1, 1932, in Camden, New Jersey, a daughter of Joseph C. Worrall -- a former jockey for F. Ambrose Clark -- and Gertrude Brisack Worrall -- a well-known and respected nurse in the pediatric clinic at Mary Imogene Bassett Hospital. Joan first married Richard M. Jacobson on February 18, 1952, in Lawton, Oklahoma. She later married Richard Arthur White, Sr. in a ceremony at Christ Church in Cooperstown on May 3, 1980. Since 1951, Joan made Cooperstown her home and became well-known for her style, flair, and affinity for organizing and supporting community events. For many years she owned The Smart Shop and The Village Squire on Main Street in Cooperstown as well as stores in Canajoharie and Fort Plain. She later bought and sold merchandise for The Church Mouse Boutique and The Farmers' Museum Gift Shop. A long-time member and past president of The Lake and Valley Garden Club, Joan was also a member of the Garden Club of America. For over three decades, Joan and her late husband, Richard, were loyal supporters of the Friends of Bassett and were part of The President's Forum and The Cupola Society. During the over 20-year history of the Bassett New Year's Eve Gala, Joan was a long-time committee member and made a great impact on the success of the New Year's Eve Silent Auction which supports multiple programs at Bassett. Of the Episcopal faith, Joan was an active member of Christ Church in Cooperstown, where she taught Sunday School and served on the flower committee. She especially enjoyed decorating the sanctuary for Christmas and Easter. She was also a member of the Native Daughters of Cooperstown and often attended the annual luncheons with her mother, Gertrude, and sister, Jean. In her leisure, Joan enjoyed being a member of the Cooperstown Country Club, where she liked playing tennis with her fellow members. She loved floral arranging, gardening, shopping, and possessed a special style for fashion and decorating her home, especially for Christmas which was her favorite holiday. And she adored all the animals she owned throughout her life, perhaps most of all her beloved walking companion, Stanley. Joan will be fondly remembered for her overall joie de vivre, and will be greatly missed by her loving family and many friends. Joan is survived by her sister, Jean W. Johnson, of Cooperstown; her children, Ann T. Mithoefer (Michael) of Sullivans Island, South Carolina, Robin J. Torrence (Rod) of Cooperstown, Brian R. Jacobson (Andrea) and Mark A. Jacobson, all of Phoenix, Arizona, Ellen W. Weir (Michael) of Christian Hill, Richard A. White, Jr. of Lenox, Massachusetts, and David V. White of Ithaca; her former husband, Richard M. Jacobson of DelMar, California; 12 grandchildren, Emily Edwards (Erick), Heather Adcock (Brandan), Matthew Grady (Kara), Christopher Grady (Stacey), Rachel Torrence, Emily Lemieux, Max Jacobson, Ryan, Michael, Andrew and Hanna Jacobson and Eli Weir; and six great grandchildren, Lilly, Gavin, Kian, Beckett, Asher, and Rowan. 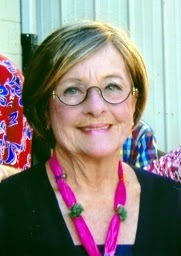 She is further survived by an aunt, Beatrice B. Hogue; two nieces, Debbie J. Mullet (John) and Meghan King (Rob); a nephew, Timothy R. Johnson (Vicki); and many cousins. In addition to her parents, she was preceded in death by her second husband Richard A. White, Sr., who died January 12, 2008. Joan's family extends their appreciation to all of the caregivers for the kind, considerate and understanding care they gave to Joan in her last weeks. The Office of the Burial of the Dead with the Holy Eucharist will be offered at 2 p.m. on Sunday, July 6, 2014, at Christ Church in Cooperstown, with the Rev'd Mark A. Michael, rector, officiating. The Service of Committal and Burial will be private in Lakewood Cemetery, Cooperstown. The family kindly requests, in lieu of flowers, contributions may be made to Friends of Bassett, 1 Atwell Road, Cooperstown, NY 13326, Susquehanna SPCA, 4841 State Highway 28, Cooperstown, NY 13326, and Catskill Area Hospice and Palliative Care, 1 Birchwood Drive, Oneonta, NY 13820.